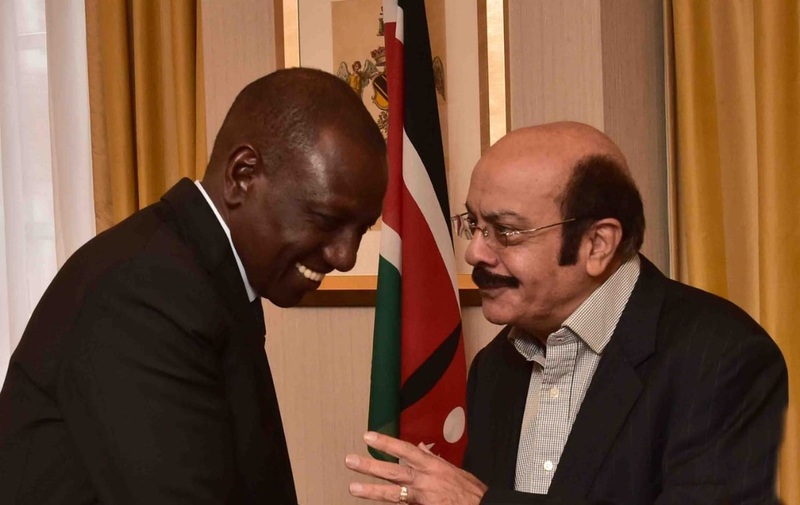 Friday February 8, 2019 - Deputy President William Ruto arrived in London on Thursday and was expected to meet Kenyans living and working in the UK for a cocktail party but the plan was cancelled at the last minute. The Foreign Affairs Ministry through the Kenyan Embassy in London sent out a notice, notifying Kenyans in UK of the cancellation of the event. “We apologise for any inconvenience this may have caused,” the Kenya High Commission told those who had registered. However, Ruto’s communication team has moved to clarify the matter saying the DP was forced to return to Kenya to ensure that he and his boss, President Uhuru Kenyatta, were not out of the country at the same time. “He (Ruto) is coming back…President leaves for Ethiopia on Saturday morning so he can’t be away,” said Ruto’s Spokesman, David Mugonyi. The President is headed to Ethiopia for the 32nd Ordinary Summit of Heads of State and Government.